These days it’s a snap to create full-color custom designed flags by using the latest digital printing technology, which in many cases can be used to bypass the messy and time-consuming silk-screen process of the past. To make your own flag, all you need to get started is your design, logo or photograph! How Do You Make Your Own Flag? The method for creating your own flag isn’t all that different from using a standard inkjet printer, however Gettysburg Flag Works uses special inks for the process, which are permanent and provide the durability needed for outdoor display. 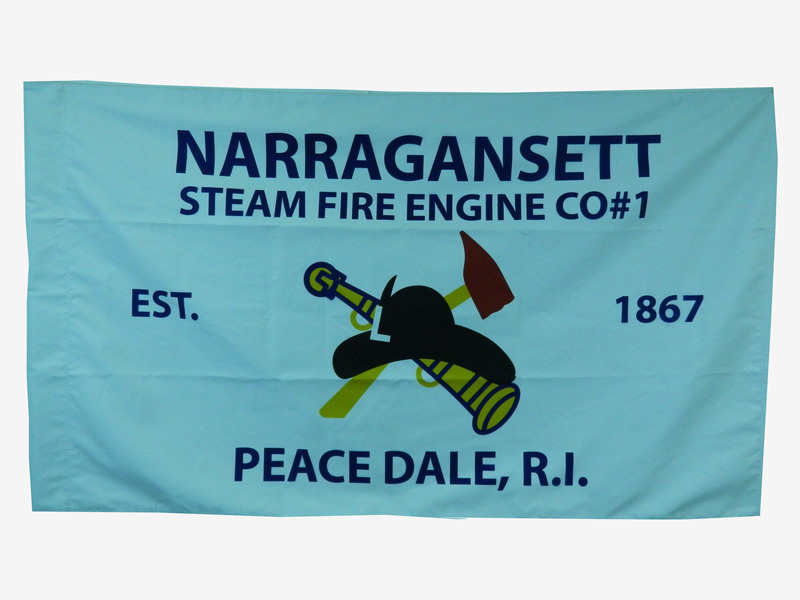 Your desired design for your personalized flag can be printed on nylon, polyester, vinyl and other materials. High-quality digital printing can be used for bold, saturated colors, as well as softer photographic designs. To get an idea of flags others have created, browse our portfolio of digital printed custom flags! Making Custom Printed Flags is Easy! 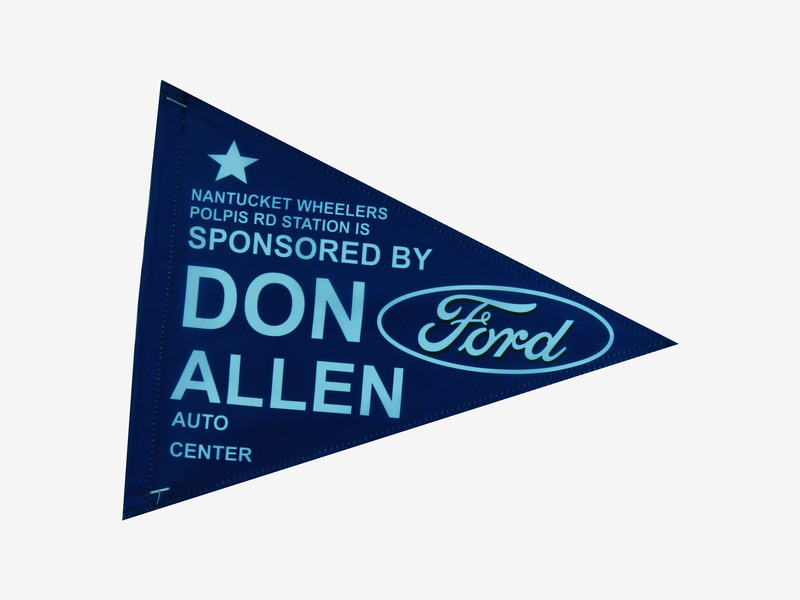 The options are endless, making it the perfect solution for personalized boat flags, and custom flags for organizations, schools, businesses and more! 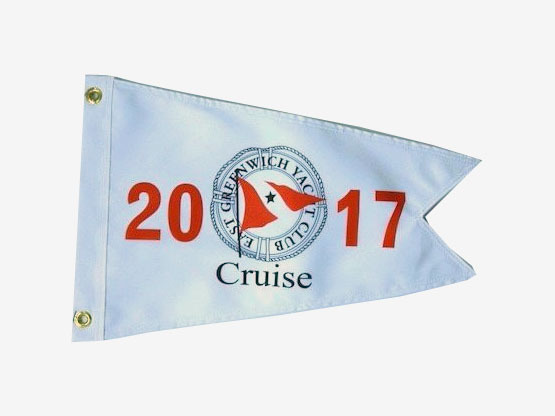 Custom-printed flags can be either single or double sided, and virtually any size, with as many details and colors as you can dream up. In some designs, the image is printed directly onto the fabric; in other cases, the design is printed onto paper, and then transferred onto the fabric. Gettysburg Flag Works employs both methods, depending on the project’s size and quantity. There are some limitations to custom digital printing. 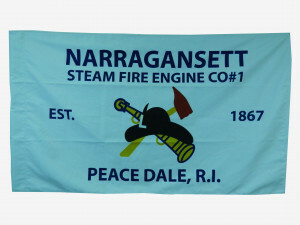 Primarily, digital printing cannot currently be done on cotton or wool, which is frequently used for historical flag replicas. In other instances, a more luxurious, embroidered or applique design may be preferable, as well. For these types of projects, you’ll want to stick with a traditional, non-digital print. There are multiple ways of ordering your custom flag, too. If you have a clear idea of what you desire printed on your flag—and you have an artwork file ready to upload—Gettysburg’s “personalize your own” option is a good fit. Creating a personalized flag or banner is easy! The order is placed and paid directly online. One of Gettysburg’s graphic artists will take the uploaded or emailed artwork and create a proof for your approval. Once you’ve signed off, the flag goes into production. Ready to make your own custom flag? Send us a message online to request a quote. 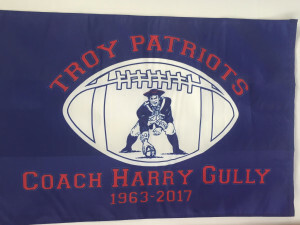 A Gettysburg Flag Works sales representative will contact you and work with you to establish your custom flag needs, and then provide a price. Once agreed, the order moves to a Gettysburg graphic artist, who then collaborates with your sales rep or directly with you to design and lay-out a proof for the digital printed flag. From there you will have the opportunity to approve the proof, or request an edit. Once the proof is finalized and you’ve selected your fabric, the flag goes into production. For the final touch, Gettysburg’s sewing staff will finish the flag with reinforced stitching and either a sleeve or grommets for mounting. The best part is that all our flags are 100% Made in the USA! How Long Will It Take to Design and Create a Custom Flag? The entire process generally takes two to three weeks; more specific timing will be detailed with your quote. Expedited orders may also be available, depending upon the production team’s current work load. Ready to get started? To submit a quote request, send us a message online or call us at 1-888-697-3524. We look forward to helping you create your own custom flag!